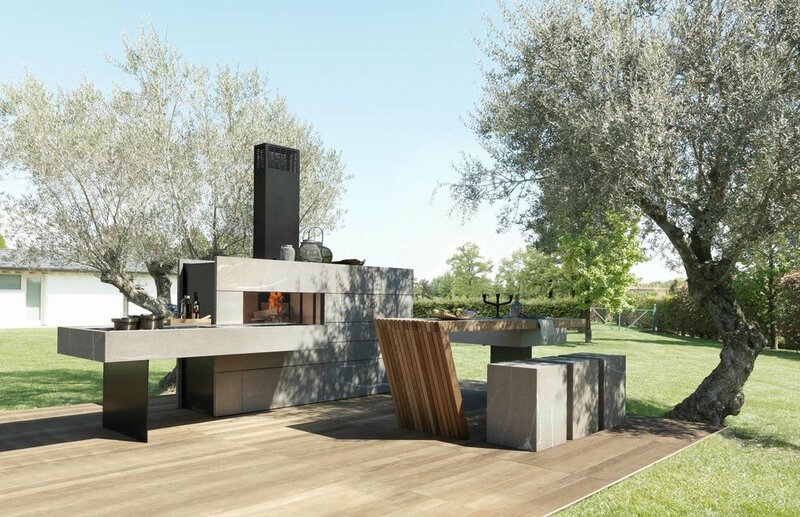 Furnishing an outdoor space with a kitchen that is not only functional but also meets specific aesthetic standards and combines stylish design with ergonomics and function. 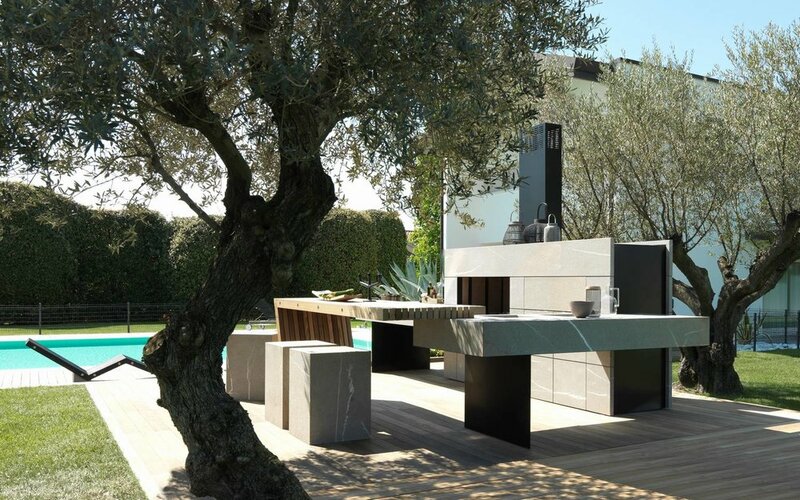 This philosophy has inspired MODULNOVA to create a new outdoor kitchen previewed at Milan Design Week 2016. In perfect MODULNOVA style, this new project merges clear-cut lines with the rational organisation of spaces. It is designed to meet the functional and practical needs of those who love spending time outdoors. On a shaded outdoor terrace, on a city loft terrace, at the poolside or in a lush garden: the outdoor collection stylishly enhances any outdoor context, encouraging the pleasure of conviviality that is created around a kitchen. Epoxy powder coated steel and Pietra Piasentina are the materials chosen for this new project. They are ideal for resisting humidity, inclement weather, temperature fluctuations and wear and tear. The use of painted steel expresses a specific aesthetic choice: to take the kitchen outside the home and make it a key feature of outdoor spaces. The same qualities of comfort and stylish design that are the distinctive features of solutions for indoor kitchen contexts are also available for this innovative outdoor system, which guarantees high performance and maximum functionality. In addition to the classic barbecue grill, a wood-burning oven and teppanyaki plate are also available and can be configured as requested. The system is complemented with two storage areas (for stacking wood for the oven or kitchen utensils), a wash area, a space for chilling drinks, an ice maker and a sink – also in Pietra Piasentina – which can become a practical ice bucket when required. A MODULNOVA kitchen is also a living space outdoors, representing the perfect fusion of production know-how and stylistic identity.